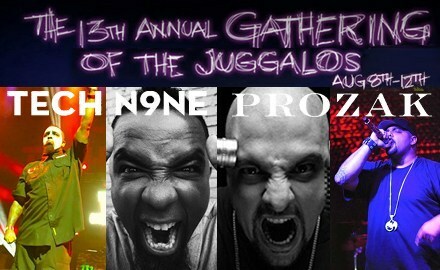 On August 8-12 in Cave In Rock, Illinois, the Gathering Of The Juggalos 2012 will commence! The annual festival of controlled chaos will feature Strange Music’s very own Tech N9ne and Prozak rocking the main stage. Click here for info, lineup and tickets to The Gathering Of The Juggalos 2012!